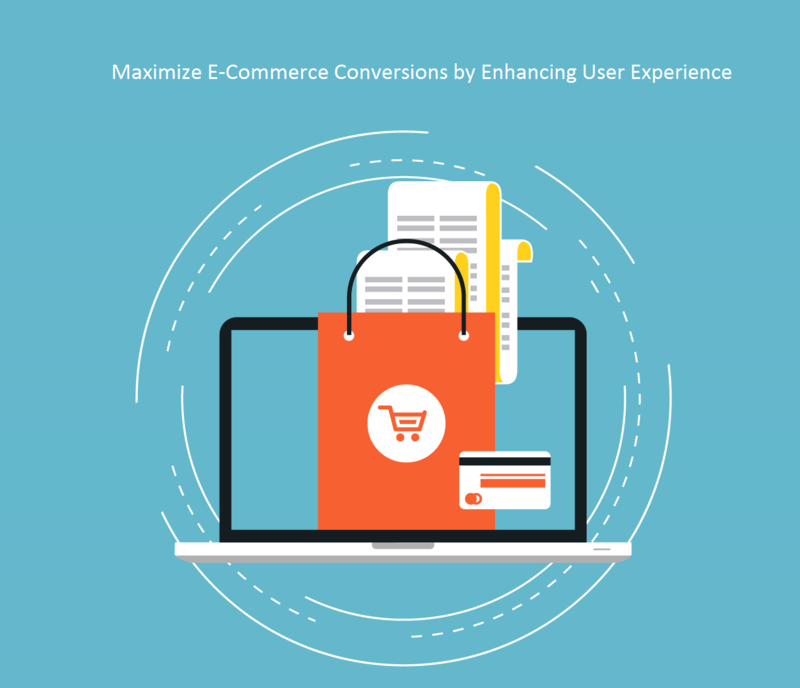 The entire idea behind offering a better UX is to make shopping experience far more intuitive that leads to maximizing E-Commerce conversion rate. But when we talk of UX, we miss out on something called a User Journey. The fundamentals of enhancing UX lies in tracking users’ landing trajectory. It is important to understand their crawling behavior on your website. Recently Crazyegg shared a meaty article on increasing conversion rate, which they have presented tips to enhance UX in order to maximize conversion. The task of improving a user journey begins as soon as the user lands on your website. All the channelized efforts of UI aim towards improving their experience. 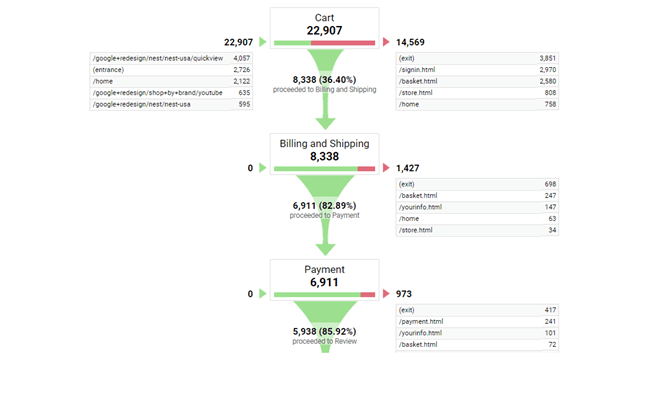 We’ve got this reference image using Google Analytics 360 to demonstrate a user’s journey in a funnel. This journey is specific to users who abandon the cart, leaving the funnel at Billing and Shipping page, or later, at a payment step. The grey lines indicate user’s pit stops on the journey. And red lines indicate leaving the journey or exit point of potential customers. So how can you control exit rates? How can you make the most out of those users who visit your website? What is something that intensifies their shopping experience to have more E-Commerce conversion rates? In the end, it all boils down to enhancing user experience that maximizes your conversions. Here are few of the best practices to optimize conversions by enhancing user experience. – Segmenting the sale products with a dedicated section. Major e-commerce companies run product sales on a certain day and time. The best way to measure paid traffic reflects in your analytics tool when a dedicated ‘sale’ section is available. This, in turn, helps to identify the campaign’s ROI. 62% of people in the survey conducted b E-Tailing group were skewed towards products with sale and discounts. This survey also suggests that 47% of online buyers would only buy discounted products. 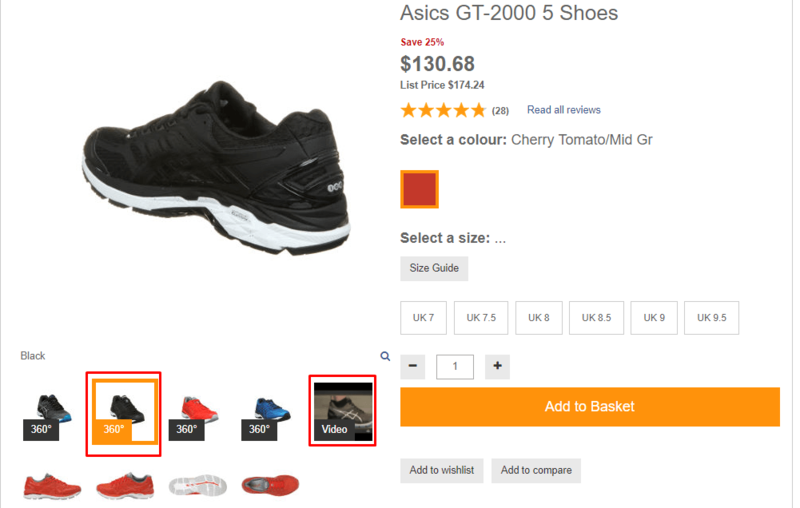 There is a boost in UX as viewers can directly view the offer/sale products that catch attention. Here you shrink their navigation path. Also, exit chance reduces as they do not navigate to the pages they are least interested in which then works for improving your e-commerce conversion rate. While researching for this blog post, I happened to come across one of our client’s website as a very strong use-case. They had simply created a separate SALE segment altogether. Also, it is highlighted in red to make it more prominent. Here is how they did it. Doing this, enabled them to attribute the discount segment to Google Analytics and they could also track user journey as well. Especially effective for the ones who land up directly on the offer page. Digging further, I also found that they have implemented the segment attribution on their website. When a user clicks on the sale link, they will be redirected to the relevant, dedicated sale page. Here’s how they created a dedicated landing page for the discounted products. 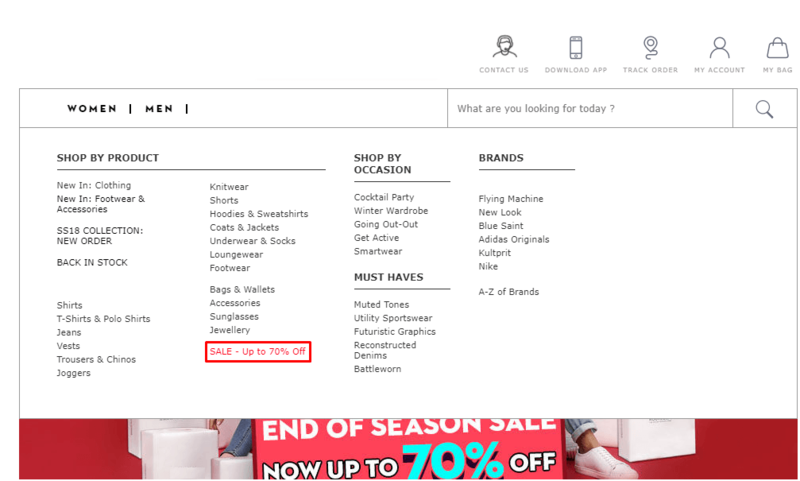 This page helps them attribute sales to discount/offer page. The search bar is just not a navigation tool. When used tactfully, it can be utilized as a conversion tool. There is an 82% improvement in the conversions by implementing enhanced site search techniques. Giving more attention to the search bar will engage more users in the search activity, giving them exactly what they are looking for. This is because search results retain users with increased navigation. To improve e-commerce conversion rate, such experience lay wide open chances for users to find their desired product(s). For enhanced UX, it is preferable to walk that extra mile and give the numbers of searched items that adds value to search. Again, taking an example from the same client mentioned above, see the number of search item results. A quantified search result is available as their repertoire for the offerings. This helps users to make a decision as to how long will it take for them to search through the entire range of products. More often that not, users are confused between two or more products when it comes to making a final choice. Because of the nature of e-commerce business, it is impossible to have ‘touch and feel’ of the product. But, the product description is something that works in the favor of marketers when done right. Give users the compare option along with precise, influential text to maximize their e-commerce conversion rate. Take a look at how Flipkart – one of India’s leading E-Commerce sites use this feature to enhance user experience. Product Compare Option Compare options can significantly contribute towards a purchase decision. 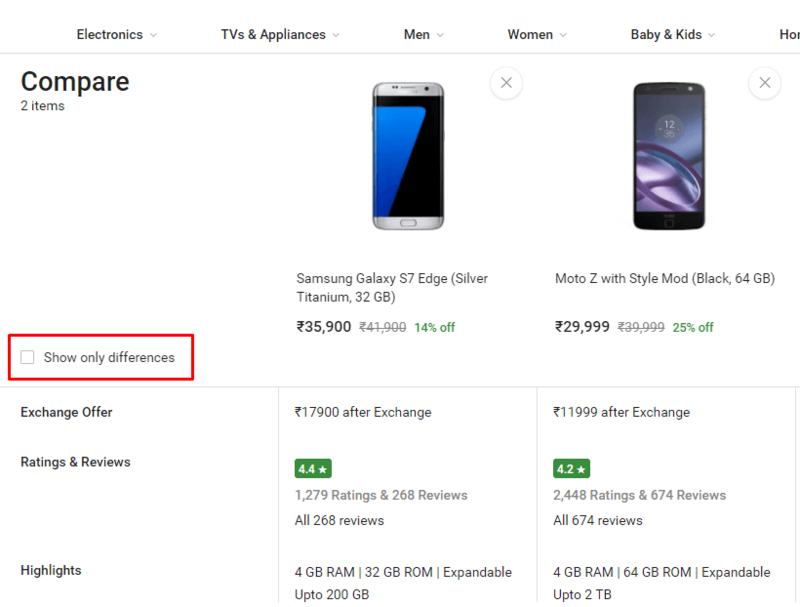 Flipkart takes the compare option to the next level where they offer a well-specified, feature-based, sharp comparison that lead users to add a product to cart. In a way, the product description does add value to a product that lures prospective user towards conversion. User experience represents a cumulative short journey that contributes to a greater experience. Having a 360-degree product view creates a positive effect on such user journeys. Such a product view will give users a near to real-time experience leading to inflate e-commerce conversion rate. Such that it can influence their buying behavior to a great extent. It is all about getting one step closer to a product. Implement dynamic image technology within your e-commerce site to use images that users can spin around. The conversion rate for these particular products (with 360 view) increased by 27% – just with a simple spin. Interactive Product DisplayOne can also opt to have a product video. The best way is to offer a live walk-through of a product, contributing towards the conversions. Having a picture serves the purpose but UX is all about that ‘extra bit’ you cover and competitors don’t. A certain persona is created as soon as the user logs in and starts navigating the website. This persona helps in channelizing the personalized content. Based on the results, the same content is displayed to other users who match that persona type. Users are grouped together based on certain characteristics that are well-defined. These are the ones that are known in advance rather being inferred by the computer, based on each user’s interaction history. Move an inch towards the e-commerce conversion rate as you hold some data about your existing users. For example, only buyers who have bought from certain segments, or have frequent purchases from ‘sale’ are identified. They will be shown personalized products based on their recent purchases or frequent purchase history. Such personalization is possible by showcasing products as recommendations, etc that contributes to higher e-commerce conversion rate. There are instances where the users are pre-grouped based on a certain known characteristics. It is possible to implement advanced personalization based on these pre-groupings. Take a look at Netflix’s personalized user on-boarding journey that asks new users to rate a selection of movies on a sliding scale. Some of the e-commerce businesses are expert in user personalization in a non-direct way. The process might seem strange to certain users. Hence, it is best to weave it in a nonchalant manner. It is so to not let users feel that their every move is spied. Let’s assume, a buyer cancels an impulsive shopping order. But, you can use this information to personalize their homepage. 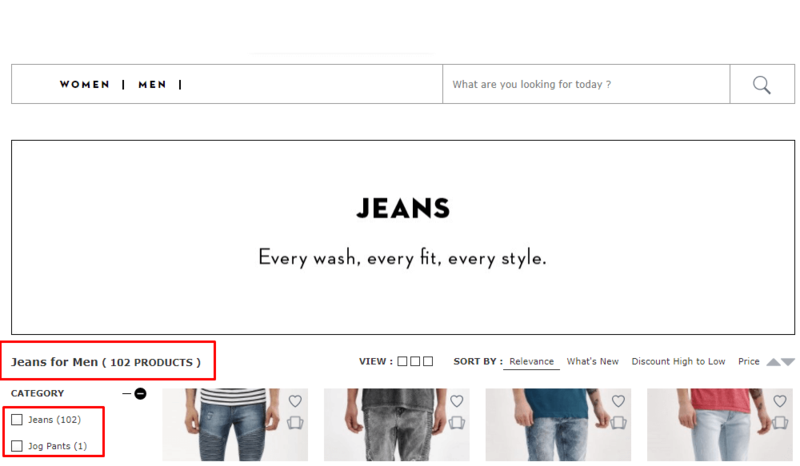 In such cases, the user is shown similar products to the ones that were canceled earlier to re-target a missed conversion. In this manner, the information is used to personalize a sections that they navigate by giving them the ‘suggested products’. Your e-commerce conversion rate shoots up drastically by implementing such techniques. This serves as one of smartest ways to re-target a missed conversion. Consider it as one more chance to convert the future visits of such users driving towards sales. It is best to implement personalization strategy with Google Optimize 360. Here’s a video that showcases three personalization use cases with Google Optimize 360. Businesses can implement this approach right away. Allowing an increase in revenue and building a loyal customer base. Users will utilize websites better by receiving relevant content and dealing with less noise. Personalization is quintessential in today’s era of e-commerce to provide a compelling user experience. To sum it up, UX plays a significant role in conversion. Implementing right tools for enhancing such experience is important. Try A/B testing for your e-commerce website to see how effective the are the changes that are implemented. And further, analyze to determine how they help in amplifying e-commerce conversion rate . Tatvic is Google Analytics 360 Suite Consultants. User experience always matters in any business. No matter how big your website is and how much you are spending on your marketing, if user experience is not good then conversions won’t happen. User experience is a broad term, it depends on types of products, user intent etc. UX is very important for e-commerce businesses. From website’s load speed to look and feel of landing page, everything matters in the user’s journey. I must say its a great article to read.